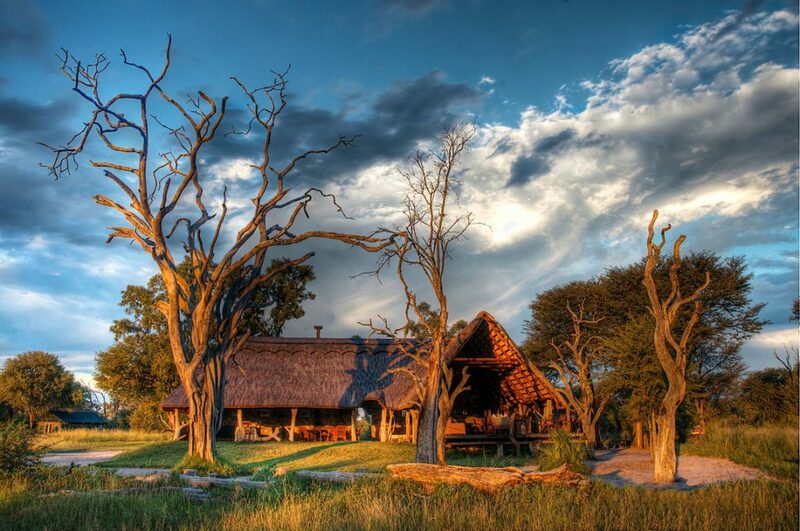 Situated in a 5000 acres private concession of the Magnificent Ngamo Plains, this luxurious tented lodge is on the edge of the remote and unspoilt south eastern corner of Hwange National Park. Bomani is famous for its unique scenery as well as its large herds of elephants and all other animals. 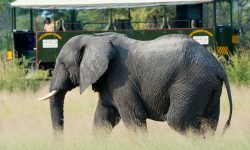 Bomani Tented Lodge is 4-5 hours road transfer from Victoria Falls or Bulawayo or by the highly recommended Elephant Express Rail Car. 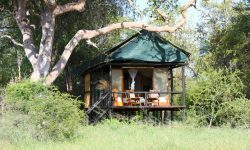 The Accommodation consists of 1 Thatched Bungalow with stone walls overlooking the waterhole with a queen size bed, air condition, overhead fan, mini bar, en suite lounge, changing room, shower basin and toilet. 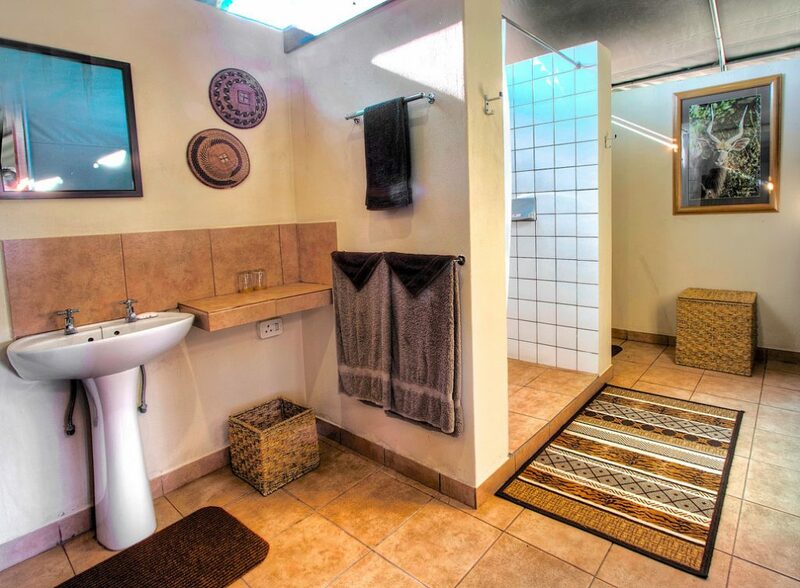 1 Spurwing Honeymoon suite with king size bed, overlooking the waterhole with en suite shower and free standing bath, twin basin, overhead fan and a large tiled veranda which is ideal for private dining. 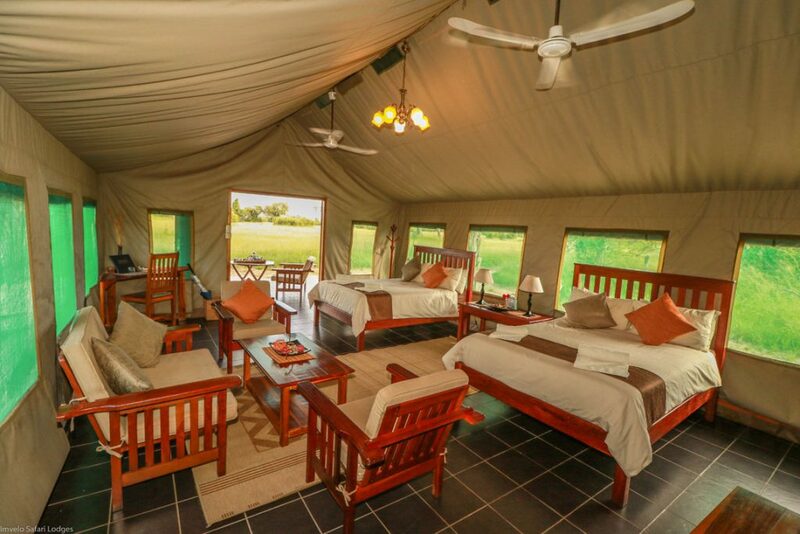 2 Spurwing Twin Suites which overlooks the water hole, consisting of twin double beds, overhead fans, en suite, shower, toilet, basin, lounge area and veranda and an extra space for a bed for children. 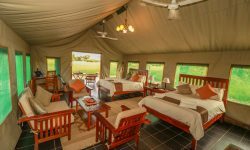 1 Spurwing Double Suite which overlooks the water hole with king size bed, overhead fan, en suite shower and toilet, lounge area and a large veranda. 2 Saddlebille Double Tents with views of the Ngamo Plians on a raised teak deck with standing fan, en suite shower and toilet. One of the room has a double bed and the other king size bed. 1 Sable Suite ( Family Suite ) tent structure built on a raised wooden deck composed of four sections. Two bedrooms, one with a king size bed and the other with ¾ beds( which can be pushed together to make a King size ). 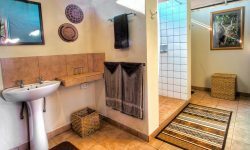 Both bedrooms have overhead fans, en suite bathrooms and outdoor shower units. 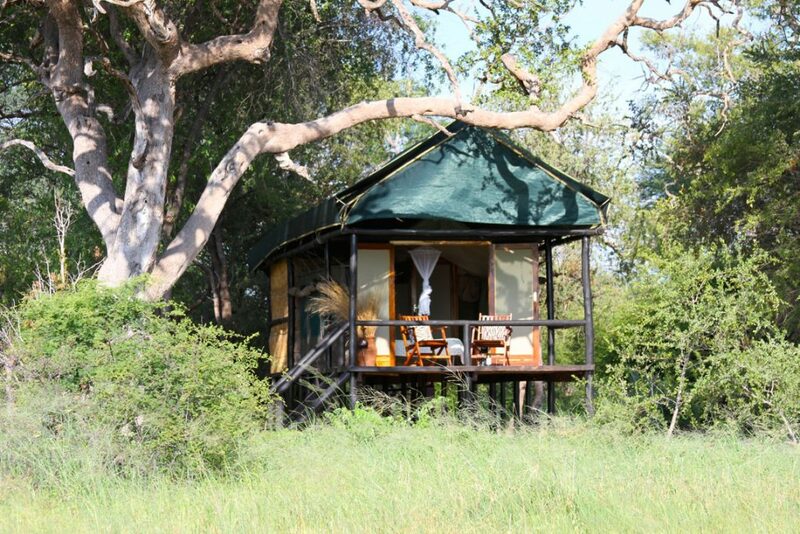 The suite has its own dining room and lounge area with very spacious veranda with views of the plains. ( 2 extra beds can be added to make it into a 6 person accommodation ). Each rooms have Emergency whistles and a air horn, Electric safe, Mosquito Repellent, Mobile LED lamp and Free daily laundry service ( weather dependant ). 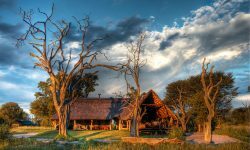 Main Lodge comprises of open fronted thatch building with teak viewing deck overlooking the waterhole, a well stocked bar and dining room. The Electricity is rum on Generator power and there is Free WIFI in the main areas. There is also a splash pool set in raised deck overlooking the waterhole. 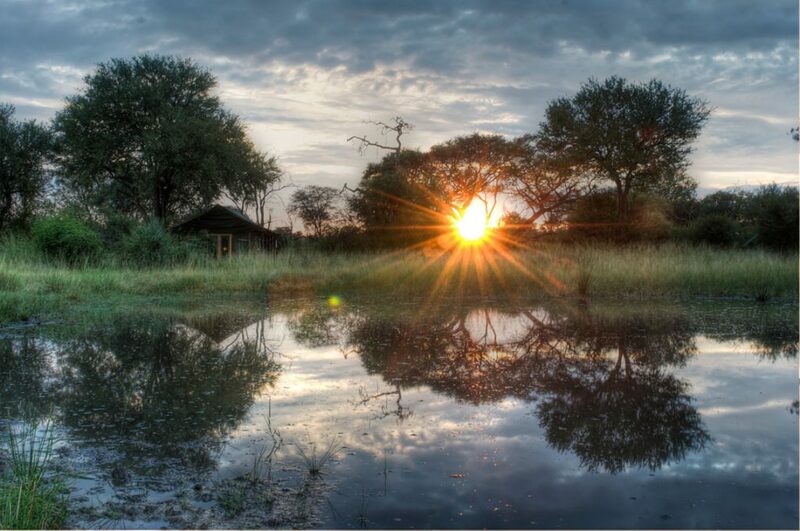 Hwange National Park at 14,500 sq km, is one of Africa’s great Parks and is home to over 100 species of mammals, including nineteen large herbivore and eight large carnivore species, and nearly 400 species of birds. 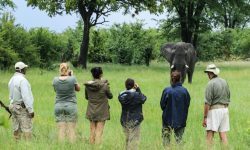 Hwange is elephant country and much of the game viewing relates to magnificent opportunities to view these, the largest land mammals, in a completely wild state. 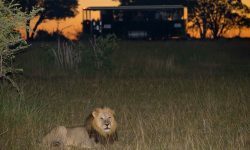 Activities consist of Morning and afternoon game drives with snacks in traditional open safari vehicles. All day game drives with a packed lunch and snacks in traditional open safari vehicles. Land Cruisers seat up to 9 guests and Land Rovers seat up to 7 guests. Game walks are Conducted by a fully licensed and highly experienced professional guide. Usually undertaken in the mornings and ideal for photography of big game on foot. 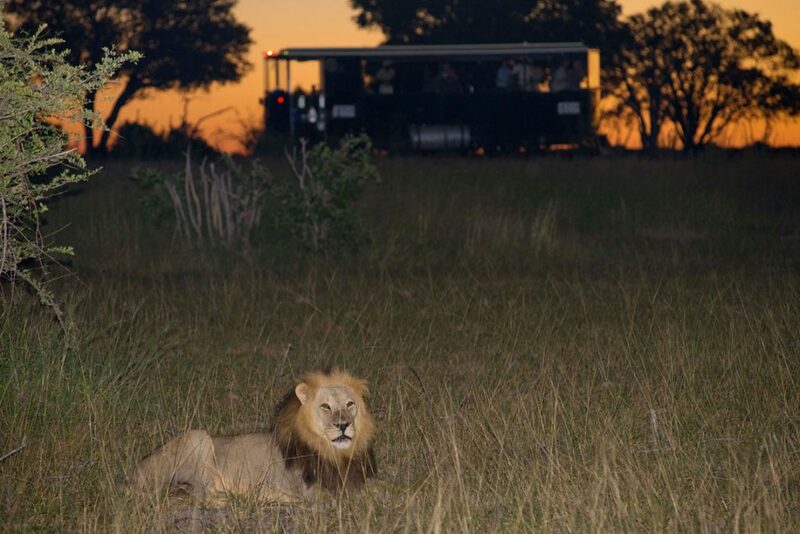 Night drives within the lodge’s private concession to view the array of wildlife, particularly nocturnal creatures. Usually undertaken upon return from the afternoon activity or alternatively after supper. 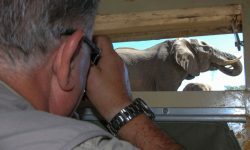 Guests can also experience Hwange’s giants up close and only a few meters from the watering hole from the safety of this specialized 6m long underground blind with en-suite flush toilet. 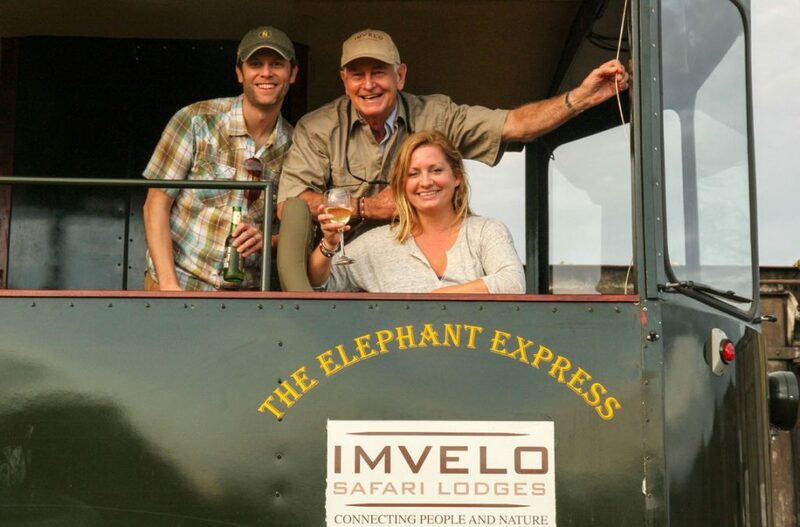 Imvelo maintain 15 boreholes in and on the borders of the national park which provide essential water to the wildlife during the dry months of the year. 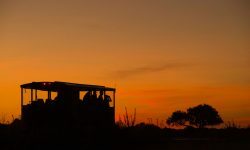 A popular activity is to take an all day trip into the park to visit the waterholes to drop of fuel and oil for the motors as well as rations and supplies for the pump attendants. 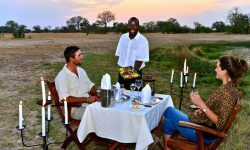 A picnic lunch is then enjoyed near one of the waterholes followed by a leisurely game drive back to lodge in the afternoon. 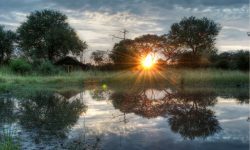 Fifteen minutes drive from the lodge guests have the opportunity to enjoy a look at village life in rural Matabeleland. A fascinating experience of a variety of typical daily village activites, which can be followed by a tour of one of the nearby schools conducted by the Headmaster where guests are given the opportunity to hear traditional songs sung by the children and enjoy a ‘class interaction’. * School visits not available in April, August and December during school holidays. Children under the age of 7 are only allowed by special arrangement and providing parents sign a disclaimer. 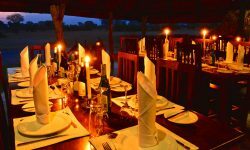 This is subject to restrictions, particularly to do with private dining options and a separate vehicle for game drives and is at the sole discretion of lodge management. Up to 2 children may share a tent with an adult. 4 children and 2 adults can be accommodated in the Sable Suite. 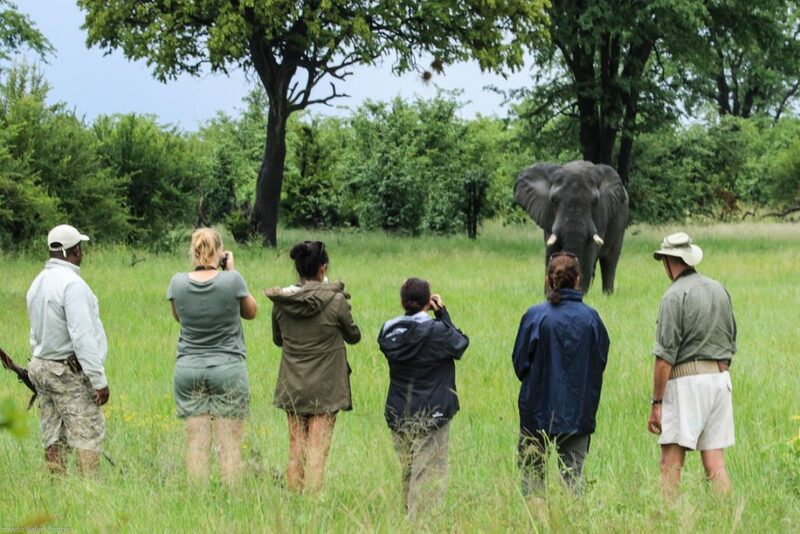 A great way to explore the African bush by rain. This refurbished rail car can accommodate 22 passengers on individual coach seats. 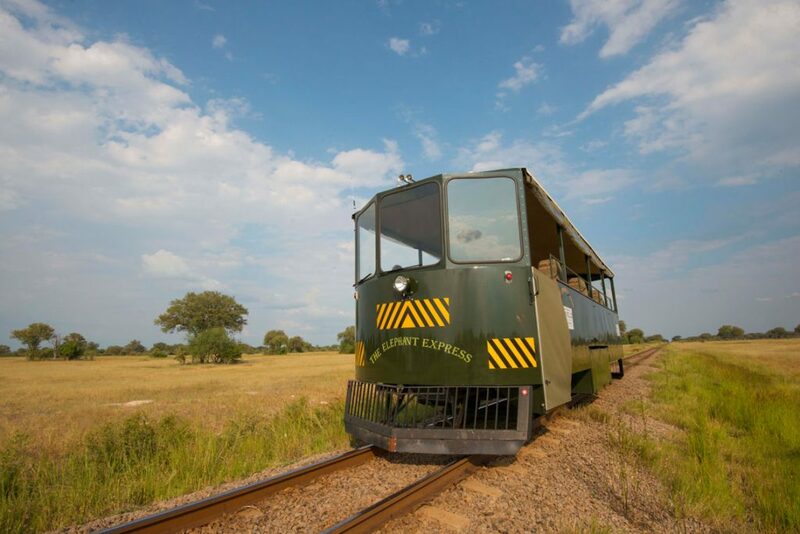 The guests can move freely and view game as they move on the straight rail track from DETE which stretches 185km. 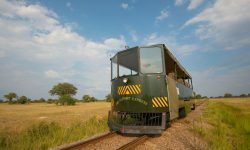 The rail car is run by a Toyota engines and gearbox on the front and back of the railcar mean that it is able to move in both directions of the track. It also includes a chemical toilet for convenience. 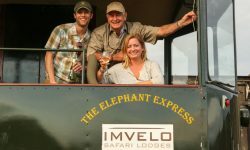 When guests wish to travel to Imvelo’s Bomani and Camelthorn lodges a road transfer is arranged to Dete near the entrance to Hwange National Park. 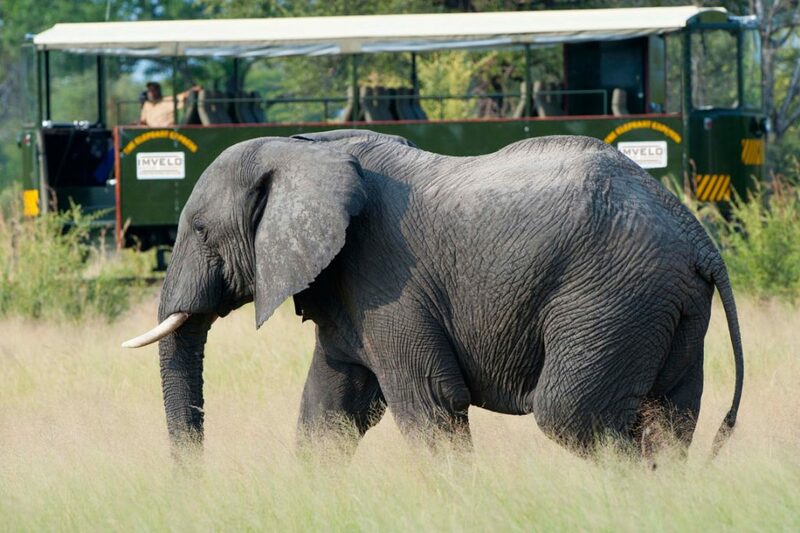 Guests then board the Elephant Express and then enjoy a 70km scenic rail transfer aboard the rail car. On route guests may be lucky to see wildlife such as lion, elephant, sable, roan, kudu, and wildebeest. The journey lasts approximately 21/2 hours depending on sightings on route. journey either to or from Ngamo siding. 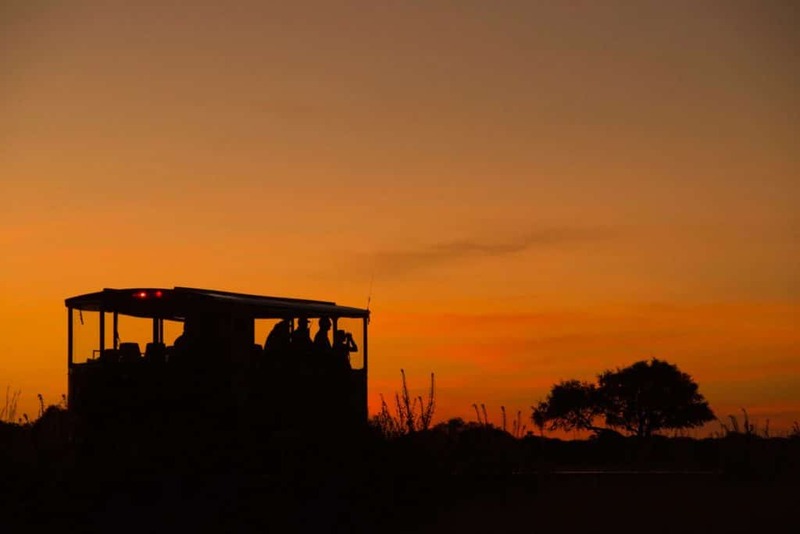 Once guests disembark at Ngamo, a game drive vehicle with your guide will be awaiting you and a short 10 to 15 minute drive will take you to one of the properties either Bomani Tented Lodge or Camelthorn Lodge.